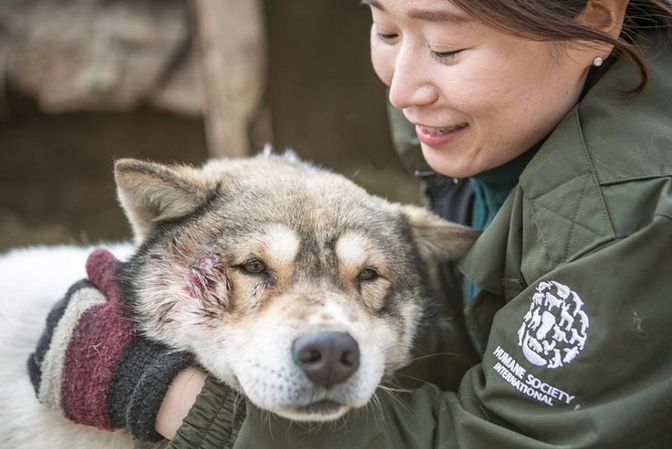 Animal Rescue Team landed in South Korea to rescue more than 80 animals from a local dog meat farm. Thankfully, it was arranged for all the dogs to be removed and transported to temporary shelters in Canada. 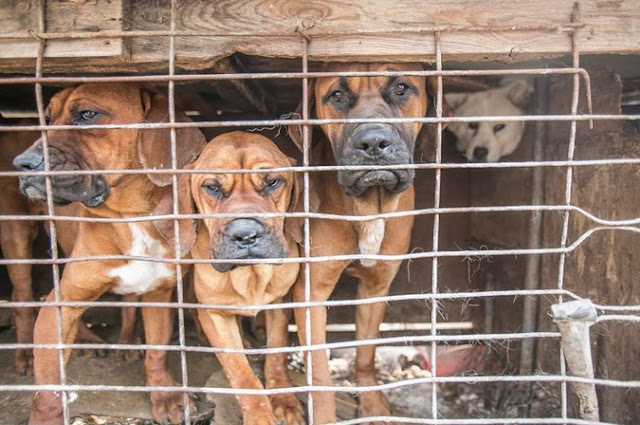 The dog meat farm came on HSI’s radar during this year’s Winter Olympics and planning to help shut down the facility began. The organization reached an agreement with the farm owner who relinquished the dogs. 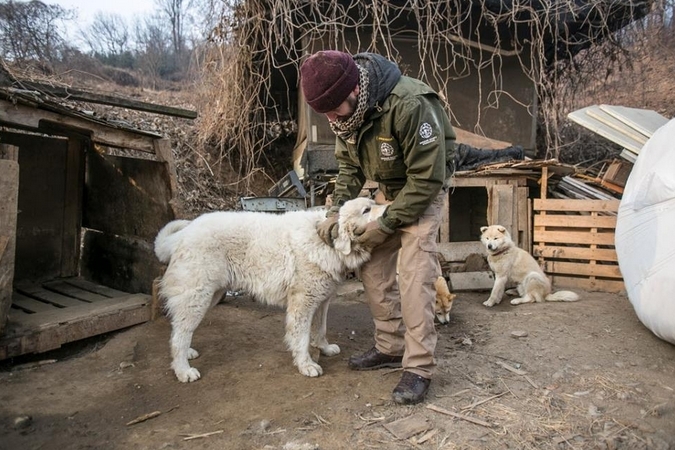 The rescued dogs are now on their way to a better life! Once at the temporary shelters, the animals will undergo health and behavior checkups then begin the search for their new homes. Adam Parascandola, Director of Animal Protection and Crisis Response at HSI, shared a live update of the process of removing the dogs from the farm. 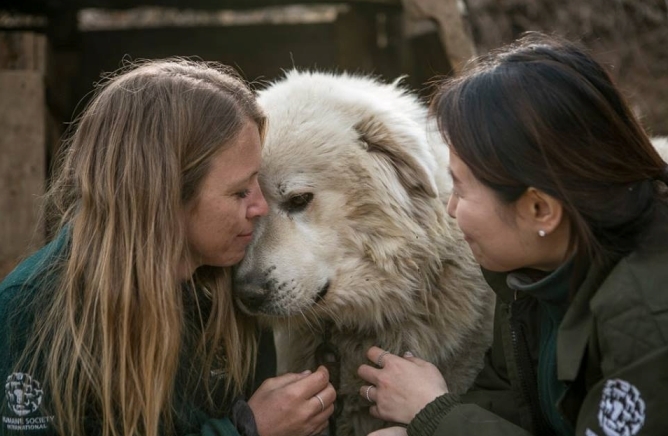 The video update featured one of the rescued dogs, Moon Bear, who was absolutely beside himself with excitement at being given attention and affection from his new friend. Thanks to HSI, more than 80 dogs who had known nothing but freezing cold temperatures and short chains will start completely new lives. 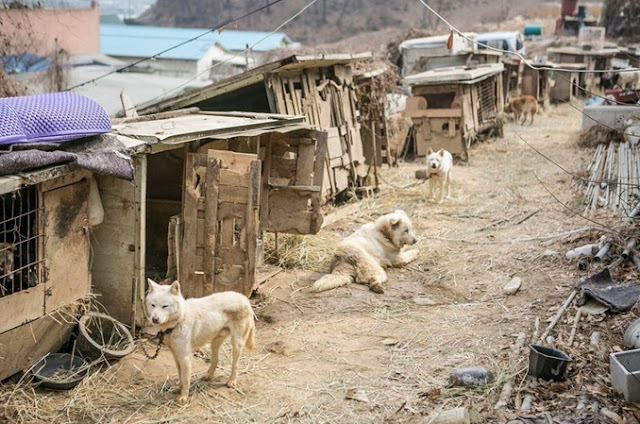 Although their fate seemed to be decided, the dogs are now saved and they will finally have the chance to have normal lives and loving homes. Responses to "Photos Capture the touching rescue of 80 Dogs from a Meat Farm"
boycott anything made in China please!!!!! the above is in korea, not china. 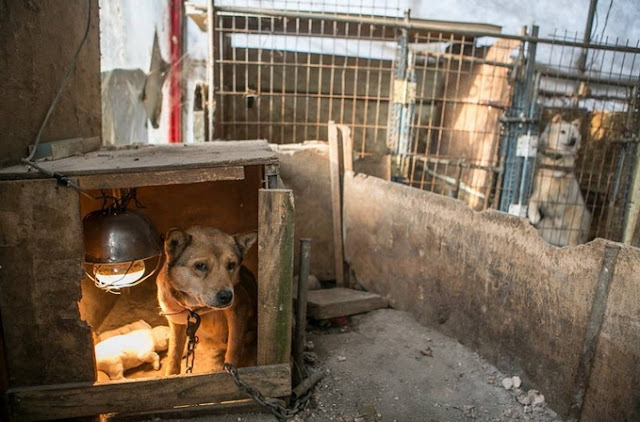 however, if you wish to protest against the dog meat trade, sign petitions, and boycott also: vietnam, thailand, indonesia, philippines, south and north korea, china, switzerland (cat meat), laos, cambodia, india... and more.